The detailed knitting on this poncho will not disappoint. It’s “functional” fashion. It’s as pretty as it is warm. 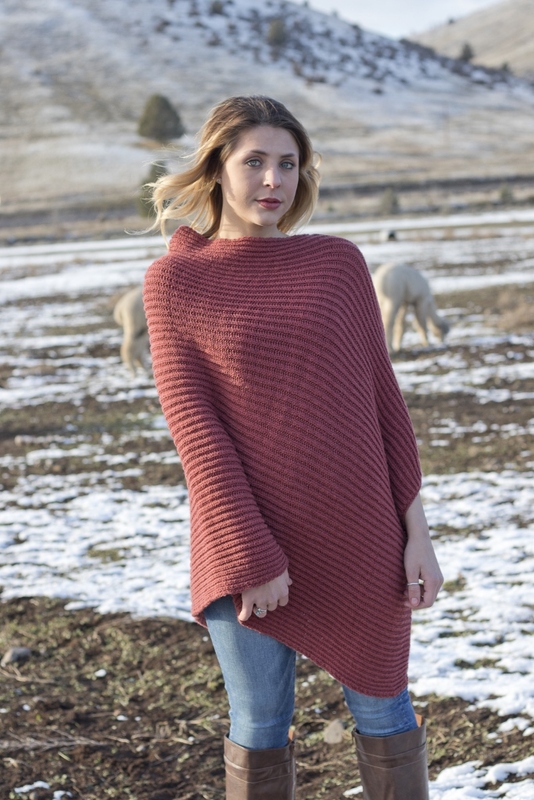 One thing that you will find with this poncho is that the alpaca adds a lovely drape to the overall fluidity. 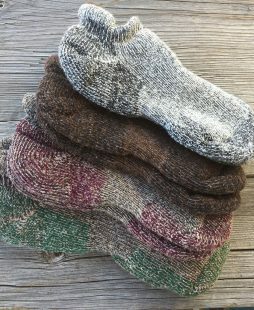 The fiber we use is grown from our Open Range herd located in Central Oregon. 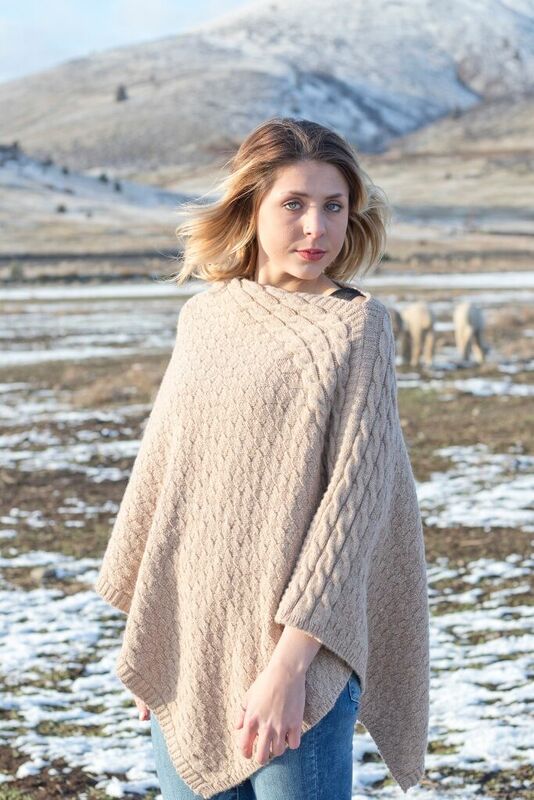 We blend wool and alpaca to create these “heather” poncho’s. 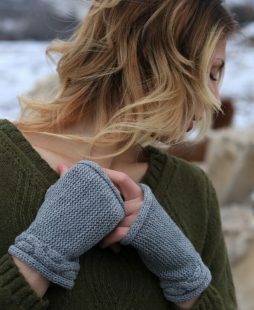 All of our fiber is grown in Oregon and all of the manufacturing is done in the USA. 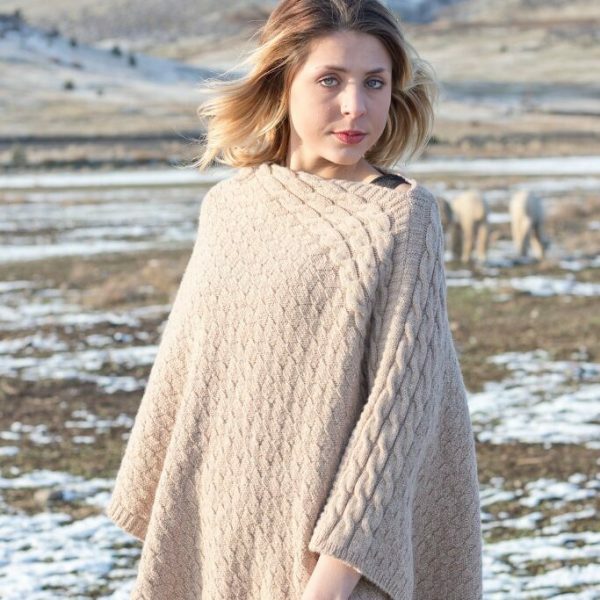 This poncho is a blend of 50% Alpaca and 50% Merino wool.